Mumbai: As India ushers in a festive mode with the nine-day Navaratri celebrations starting on Thursday, the political canopy in Maharashtra is likely to see new equations being drawn with Narayan Rane quitting the Congress. Addressing the media at his home turf Kudal in Sindhudurg, Rane unleashed a no holds barred attack on state Congress president Ashok Chavan, state in-charge Mohan Prakash and the high command of the party. "Today I have resigned from the Congress and as an MLC. With my exit, Congress won't exist in Maharashtra. Along with MLAs from Congress, legislators from Shiv Sena will also join me. I will announce the future course of action after Dussehra. I will tour entire Maharashtra beginning from Nagpur starting tomorrow and meet people from various regions," Rane said. "I went to the Congress because I was assured that I will be chief minister in six months," he said. "I waited for 12 years. 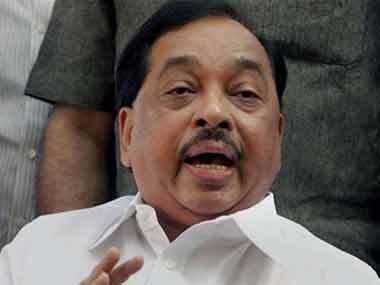 When I found that there was no scope for me in the Congress, I decided to quit," Rane said. Blaming Chavan and Prakash for the party's defeat in several elections including Lok Sabha, Assembly, municipal and Zilla Parishad polls, the former Congress leader said, "Despite several election losses, the two continued to retain their posts." After Nagpur, Rane is likely to tour Nanded which is Chavan's stronghold. The Congress state president is, however, unperturbed. "Whatever (Narayan) Rane said is not true. I give him my best wishes for his new beginning," said Chavan. 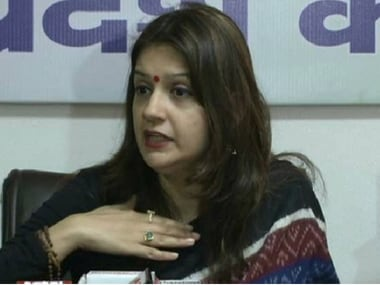 The former Congress leader did not spare Rajya Sabha member and political secretary to Congress president Sonia Gandhi, Ahmed Patel as well, saying that the latter forced him to complain against former Maharashtra chief minister Vilasrao Deshmukh. "I did join the Congress, but all along, I was strongly opposed by none other Ashok Chavan for obvious political reasons. Congress lacks commitment and determination to take on the BJP and Shiv Sena," he said. Rane had joined the Congress in 2005 after he was expelled from the Shiv Sena. "There is no point in returning to the Shiv Sena. Many Congress and Shiv Sena MLAs will resign from their parties soon," he said, probably sending shockwaves in the Congress and Shiv Sena camps. Miffed over being denied the post of chief minister, which was perhaps the carrot dangled to lure him to the Congress, Rane took a dig at the party for the injustice done to him and his supporters. Along with Rane who resigned from primary membership of the party and as an MLC, his son and former MP Nilesh Rane also left the party. Nitesh, his other son, represents the Devgad constituency as a Congress MLA in the present Assembly. He has not resigned so far. Over the last few months, it was obvious that Rane was not too happy with the Congress. Four months back Rane also met BJP national president Amit Shah igniting intense speculations over his joining the party. Unlike his past stance, Maharashtra chief minister Devendra Fadnavis has considerably softened up his attitude towards Rane of late, said sources close to the former Congress leader. Although there has been grapevine that Rane might join the BJP for some time now, the BJP state unit is however not quite happy with the prospect of the former Congress leader being inducted into the state cabinet and his sons joining the party. "For this reason, his induction into the party has been stalled three times," a close Rane aide said. The possibility of Rane floating his own political outfit looks slim as the former Congress leader rubbished such reports. 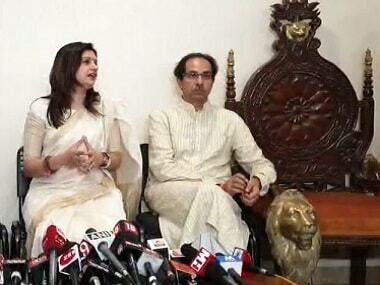 "This is the old style of Shiv Sena president Uddhav Thackeray. 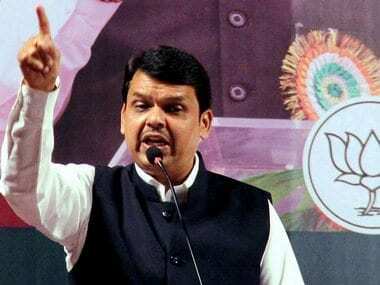 He will not leave Fadnavis government and Sena has no self-respect," he said. Rane's journey in Maharashtra politics that spans over a period of nearly five decades started from the scratch reaching up to the Chief Minister's Office. In his 37 years in Shiv Sena, he became a corporator, BEST committee chairman, MLA, opposition leader and finally the chief minister in 1999. Soon after his expulsion from Shiv Sena by Bal Thackeray in 2005, Narayan joined Congress and held posts like revenue minister, industry minister till 2014. However, in 2014 his consecutive six-time run was broken by a relatively new Shiv Sena candidate Vaibhav Naik who defeated him in his stronghold Kudal constituency in the Assembly election. Rane again lost in the byelection to the Bandra Assembly seat in 2016. Shiv Sena's Trupti Sawant won the seat. The Congress then finally made him an MLC in 2017. When Rane was shown the door from the Shiv Sena in 2005, nine MLAs and dozens of corporators also left the party in protest. However, a similar clout was missing on Thursday as only two sitting MLAs — his son Nitesh and Naigaon MLA Kalidas Kolambkar — were with him. At this point of time, Rane can only take some solace to the fact that the disgruntled elements in the Congress and Shiv Sena might join him in the days to come. If that doesn't happen the former chief minister will just be reduced to being a political leader in Sindhudurg district without any party affiliations.